For years, experts have been baffled by the spread of conjunctivitis, which has reached almost epidemic proportions in some countries, including the US, with the highly infectious eye disease occurring in 15 to 20 million people annually in the States. Now, however, scientists have reported the discovery of a potential new drug for epidemic keratoconjunctivitis (EKC), which has been published in the American Chemical Society"s Journal of Medicinal Chemistry. Study author Ulf Ellervik and colleagues noted that there is currently no approved treatment for EKC, which is caused by viruses from the same family responsible for the common cold. It affects the cornea and causes redness, pain, tearing, and may reduce vision for months. "Patients are usually recommended to stay home from school or work, resulting in substantial economic losses," the experts noted. 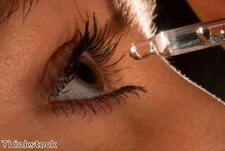 The scientists stated that the potential new drug sweeps up the viruses responsible for EKC, preventing the viruses from binding to and infecting the cornea. It removes viruses already in the eye and new viruses that are forming and, in doing so, relieves symptoms and speeds up healing - potentially avoiding impaired vision. This also reduces the risk of infecting the patient"s other eye or spreading the infection within families, schools and workplaces, the experts explained. Further studies will ascertain whether the drug can be rolled out for the widespread treatment of EKC, the study authors noted.